You’ve heard the saying, “Teamwork makes the dream work.” Six Sigma’s core belief is that every team member (employee) is uniquely responsible for the success of the company. Every team member should be acknowledged for a job well done; this alone lifts morale and creates loyalty. Now add respect to the equation and a monetary increase, and you have loyalty among team members and company culture. Six Sigma believes that employees are valuable assets. This is Six Sigma 101 and should be practiced. How is your company doing in the morale department? Use the DMAIC template along with some tools Six Sigma has to offer to find out. VOC: This is Voice of Customer but it can be used on your team. Find out what is important to them in the workplace. This can be done in an email survey with a few pertinent questions. Define Phase: Determine if a morale boost would increase production and decrease costs. This would include baseline measurement of current production at the beginning, and another measurement after one month of implemented change. 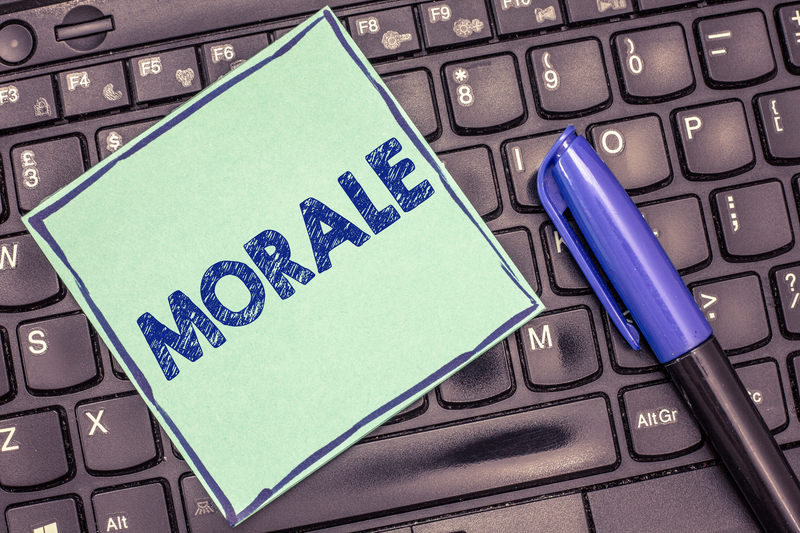 The end goal is to determine just how important morale affects production. Measurement: Of time to be taken during day-to-day processes at each step, then after the entire process is done from start to finish. Times should be recorded; use of a process map with times after each step would be helpful. Measurements must be recorded exactly at the same place in time of the process. Analyze: Compare the baseline measurement before morale boost and then afterward to note the difference. We want to see if the team worked faster and with fewer errors when they are happy. Improve: If there is a marked improvement in production, then for a period of time incorporate the change and fine-tune those changes for continued improvement. Control: Maintain the new morale standard so that the team continues to excel but remember to monitor and adjust as needed. This example was hypothetical, but it can be done and would be interesting if it were done. For more information on our Six Sigma courses and services please visit 6sigma.com.